Christine Bryden was 46 years old when she was diagnosed with dementia, and in this book she describes her remarkable emotional, physical and spiritual journey in the three years immediately following. Offering rare first-hand insights into how it feels to gradually lose the ability to undertake tasks most people take for granted, it is made all the more remarkable by Christine's positivity and strength, and deep sense, drawn in part from her Christian faith, that life continues to have purpose and meaning. 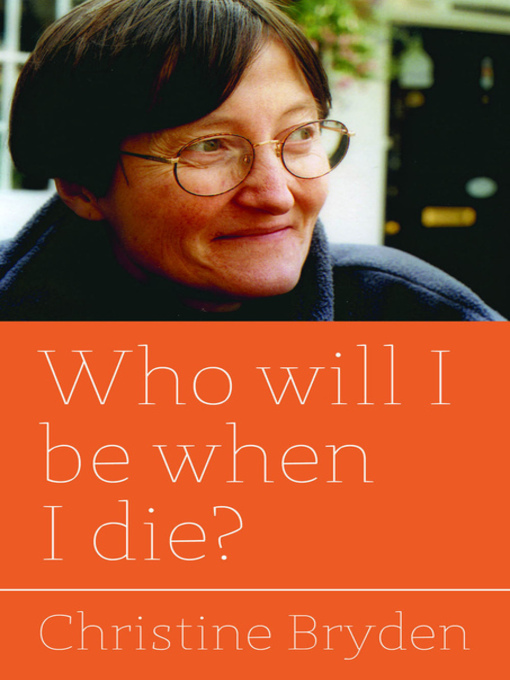 Originally published in Australia in 1998, the book is brought up-to-date with a new Foreword, Preface and Appendix, in which Christine explains how the disease has progressed over the years, and how she is today. It also contains many previously unseen photographs of Christine and her family, from around the time of her diagnosis up to the present day. Inspirational and informative in equal measure, Who will I be when I die? will be of interest to other people with dementia and their families, as well as to dementia care professionals.